R.S.C. Anderlecht won the title of the 1993/94 season. 1 R.S.C. Anderlecht 34 24 7 3 79 31 +48 55 Qualified for 1994-95 UEFA Champions League. 2 Club Brugge 34 20 13 1 54 19 +35 53 Qualified for 1994-95 UEFA Cup Winners' Cup. 3 R.F.C. Seraing 34 15 13 6 50 27 +23 43 Qualified for 1994-95 UEFA Cup. 17 K.S.V. 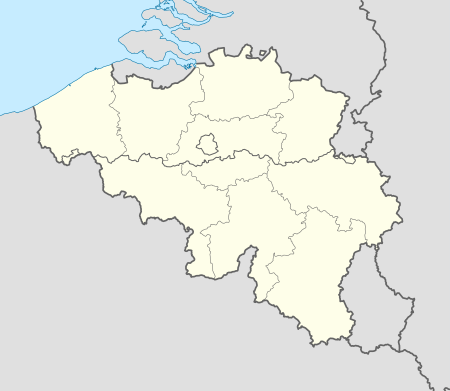 Waregem 34 6 7 21 32 62 -30 19 Relegated to Belgian Second Division. This article about a Belgian association football competition is a stub. You can help Wikipedia by expanding it.